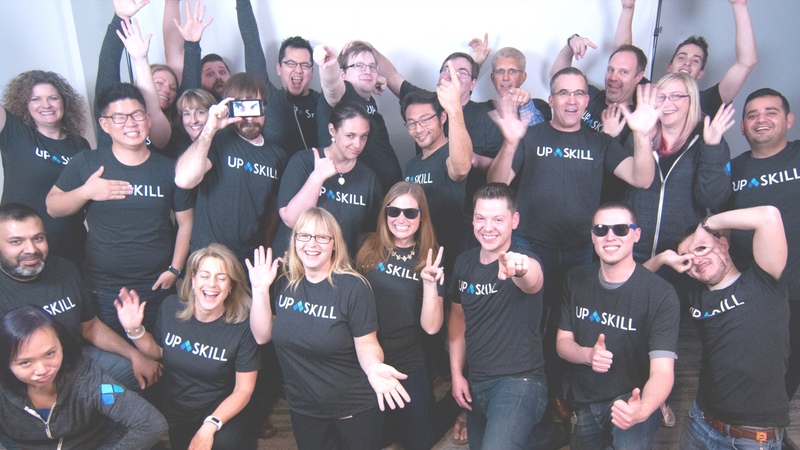 With a focus on teamwork, innovation and a mission that staff truly believes in, Upskill is proud to be recognized as a best workplace. These awards recognize fast-growing startups who are prioritizing both people and profits, and winners are selected based on responses to an employee survey. Given our accomplishments over the past several months – including our recent acquisition of Pristine, closing of Series B funding from our largest customers and recognition as a World Economic Forum Technology Pioneer – our employees have a reason to be proud. That pride shows in their work, attitude and commitment to our mission, which is to elevate the impact of people in the modern industrial workplace. In hindsight, our formal rebrand of the company this past winter played a key role in strengthening our team, and therefore, our entire work environment. The process of preparing for the change proved valuable to our culture as it brought the team together to evaluate and articulate what we do, why we do it and why it matters. In our survey, it’s no surprise that “engaging” was the most frequently used term Upskill employees used to describe their work environment. We have always been a company that fosters collaboration and a culture where everyone has a voice; we believe that solutions can come from anywhere within the organization.